I'd like to read Fumio Sasaki's new book but this Guardian article is a start, Goodbye things, hello minimalism: can living with less make you happier? Lovely to see you back with the links and London photos. The Paris microflat made me feel very nostalgic for all the small spaces when I lived there as an au pair. I'm so inspired by the video of that Parisian flat! I watched it with Bella and she was fascinated too. Excellent use of storage - I like the way they compared it to living on a boat. All the links had something to motivate Claire but the Parisian flat was exceptionally good! I understand how you feel about your son going away for a year to the other side of the world - my daughter went to England for a year after she had completed her internship and worked at a number of hospitals as a locum. Thank goodness for Skype! Hi Megan, the flat is cute isn't it and yes, all set up to Skype! I will never be as minimalist as you, Claire, but I enjoy seeing you back again. I will have a look at some of those links, too. 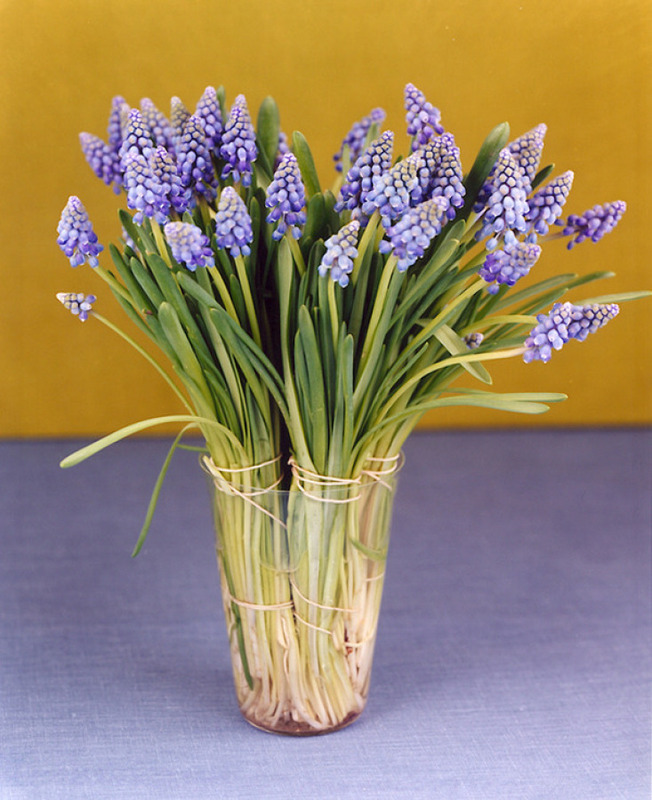 Did you tie those muscari in bundles before putting them into the glass vase/drinking vessel? They look lovely. Ours are now over for another year, but our tulips are gorgeous. PS Have just watched the video of the micro flat in Paris - it's lovely! Mind you, I'd have made a proper cover for the bed so that it looked less bed-like during the day, but other than that, a gem of storage ingenuity!